New and high quality Genuine New VGP-BPS35A Battery For SONY VAIO 14E 15E Series SVF152C29M SVF1521A2E SVF15217SC Laptop 14.8V 2670mAh 40Wh(Li-ion 14.8V 2670mAh, 40Wh ) In Canada. 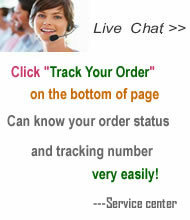 F1521V3CW, F1531V8CW, Svf 153a1yp, SVF14215SC, SVF1421E2EW, SVF1421X2EB, SVF142C29M, SVF142C29U, SVF143A1YL, SVF15216SC, SVF15217SC, SVF15218SC, SVF15218SN, SVF15218SNB, SVF15219SNB, SVF1521A2E, SVF1521A2EB, SVF1521F4E, SVF152A24T, SVF152A25T, SVF152A27T, Svf152a29w, SVF152C29L, SVF152C29M, SVF1531C5E, SVF15329CWW, SVF153A1YP, SVF153B1YM, Vaio 14E Series, Vaio 15E Series, VAIO Fit 14E, VAIO Fit 15E, VAIO SVF 153A FYM, Vaio SVF14215SC SVF152A24, vaio svf1421e2ew, vaio svf142c29m, Vaio SVF152C29L, Vaio SVF152C29M, VGP-BPS35A. 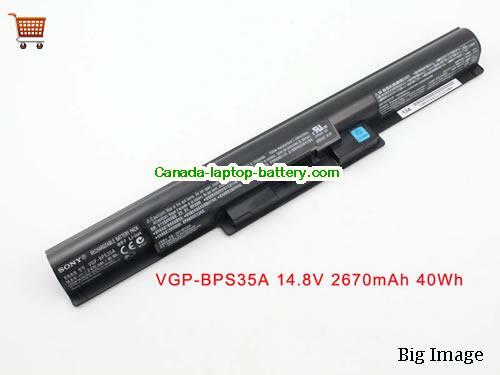 48Wh VGP-BPS36 Battery For Sony SVD13211CGComing soon!